Take it from the people who have done their fair share of driving in Outback Queensland, one of the best views of the region is above it. Flying to the outback is often overlooked (pun intended), but has plenty of perks if you know what to do. 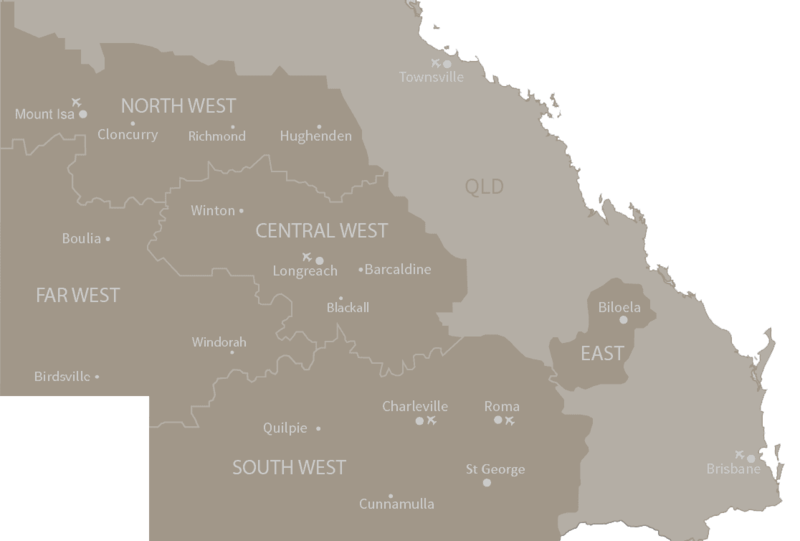 Regional Express, affectionately known as Rex, is one of three commercial airlines who fly to the outback, landing in 18 towns across Outback Queensland. 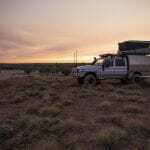 That means you can hop from Brisbane to Birdsville for a midweek bevvie, jump from Cairns to Burketown for a weekend getaway, or skip from Townsville to Longreach to catch the sun set over the outback horizon. Not bad for a destination that otherwise could take a day in the car to even reach. So sit back, relax, take the window seat and soak up all that Outback Queensland has to offer from above. Busy schedules, dwindling annual leave, and school holiday pressures can make long drives to the outback more of an expectation than your reality. That’s where flying comes in. From the air, you can make a weekend out of your outback adventure, perfect for these outback events, offering options for shorter trips, or the ability to add to current Queensland holidays. Depart from Brisbane, Cairns of Townsville, enjoy a cuppa or relax with a glass of wine and be in the outback within an hour. The Australian Outback is not only beautiful from land, but also magnificent from the air. Rex’s smaller aircraft and short-haul flights allow the aircrafts to fly at a lower altitude, offering a birds-eye view of the outback and the ability to spot bucket list destinations and natural beauties. Just because you fly to the Outback, doesn’t mean you don’t get to experience outback driving. See this diverse region from both air and on the ground in the same trip. Why not pick up your car on arrival, and save on travel time getting there? There’s nothing quite like driving the great open road of the outback as the sun sets over the horizon. After all, they don’t call it road trip country for nothing. But tackling the outback roads is a commitment that requires plenty of preparation. For some people, doing it once is enough, and the hustle becomes a hassle. So if long distance driving is not your thing, you can still experience the outback with the alternative option of flying. With a list of adventures the length of the Birdsville Track (517km!) there are plenty of reasons to make this the year to explore what’s west of the Great Dividing Range. When flying to the outback, it’s all about maximising your time on the ground to tick off as many experiences as you can. Talk about #efficiency! Don’t forget to share your in-flight adventures with #outbackqueensland. We can’t wait to see what things you discover in Outback Queensland. Post sponsored by Regional Express. Have you seen Outback Queensland from above? Tell us about your experience in the comments below.